Museum visitors learn about the natural world around them at the Hudson Highlands Nature Museum. Cornwall, Orange County (178 acres)—Scenic Hudson originally protected these 178 acres, once part of historic Kenridge Farm. Today 3 miles of trails winding through or along forests, meadows and wetlands enhance activities at the Hudson Highlands Nature Museum Outdoor Discovery Center. There is a universally accessible bird-observation platform, and four interactive trail quests are available to guide wildlife exploration. 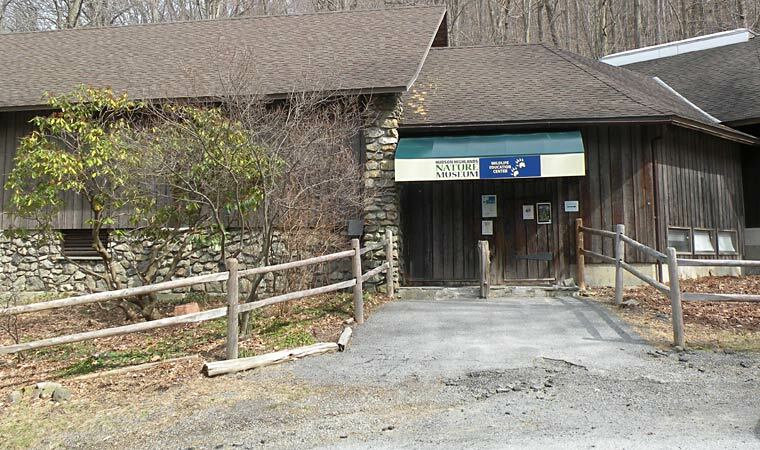 For inquiries about the Hudson Highlands Nature Museum, call 845-534-5506. Weekends mid-April to mid-Nov. 9 a.m. to 4 p.m.
Kenridge Farm is on Muser Drive, across from 174 Angola Road. Take Route 9W to the Angola Road Exit. Go .1 mile west on Angola Road.